Bitcoin Bitcoin vs. Ethereum – What’s the Difference? Bitcoin and Ethereum are two of the largest cryptocurrencies. They are part of the first and second generation of blockchain and cryptocurrencies. Bitcoin and Ethereum are two of the largest cryptocurrencies. They are part of the first and second generation of blockchain and cryptocurrencies, these two projects have gone through various difficulties and remained the most dominant crypto assets on the planet. However, there are differences which exist. 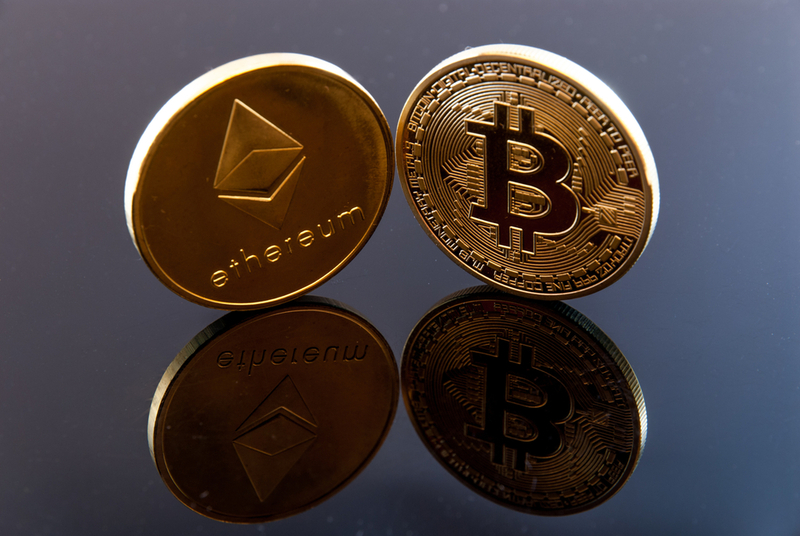 Bitcoin and Ethereum are two crypto projects with different ends and different means. Let’s understand this. The creator of Bitcoin is Satoshi Nakamoto, a pseudonym used for a person or a group, which has never been identified. Nakamoto is best identified for his Bitcoin whitepaper “Bitcoin: A Peer-to-peer Electronic Cash System.” Some people have claimed to be Nakamoto in the past, but there have since been busted. Ethereum is widely regarded as the brainchild of Vitalik Buterin. The young man has worked extensively with other core development team members to make the Ethereum blockchain a reality. Other important people involved in the creation of the coin were Dr. Gavin Wood and Joseph Lubin along with Mihai Alisie, Anthony Di Lorio, and Charles Hoskinson. Buterin maintains a relatively low profile, compared to other founders in the crypto sector. Bitcoin was designed as a peer to peer system where users can transfer value to each other in the form of digital money without depending on any third parties. This helps eliminate the role of banks and central bank authorities, helping users get access to quick transfers. The Bitcoin public ledger allows users to use pseudonymous entities to transact online. The ledger is open for scrutiny by anyone and is distributed to various computer nodes in the world. There are no centralized entities managing or controlling this chain and transactions once penned to the Bitcoin ledger, cannot be tampered with. Ethereum is a decentralized blockchain platform that runs smart contracts. These contracts are programmed for execution only under specific circumstances, providing users with a wide range of functionalities and removing any centralized or third-party entity from the transaction. The platform has its own digital currency called ETH. Ethereum allows users to create decentralized applications as well and run their own ICOs/create their own tokens which could be used within a specific organization or with a specific use case. New blocks in the Bitcoin blockchain are created by “miners” who verify transactions and get block rewards in return. This is called the Proof of Work consensus algorithm where all miners of the world are competing with each other to mine the next block. Ethereum too follows the Proof of Work algorithm but will now be making a move to Proof of Stake systems. This eliminates miners from the system and brings in block validators. PoS is a less power-hungry system than POW. Overall, Bitcoin can be defined as a currency underpinned to a distributed ledger which helps users get an alternative payments system. On the other hand, Ethereum is a decentralized platform allowing multiple use cases of blockchain via smart contracts and decentralized applications. Next articleLitecoin vs. Ethereum – What’s the Difference?